Much of my reading for the past 45 or more years has been focused on biographies. Many of the best histories are biographies. The stories of people’s lives are reflections of their times and the events and circumstances. If you want to know about the War Between the States, World War II, or any other time period, a biography is the best door to enter. Every subject I am interested in has been enhanced by reading biographies. So, I read biographies of kings and generals, poets and novelists, theologians and preachers, and many other kinds of folks. Some biographies are better than others, but it is rare that a biography doesn’t entertain, inform, and inspire. No matter what the viewpoint of the author is, the resulting story of a person’s life–any person’s life–is a sermon about something, or usually many things. I was happy to read over a list of favorite biographies of key Christian historians in our time. That list can be found HERE. You might be better off just skipping my recommendations and devoting your time, puchases, and reading to what they recommended. Good by. Thanks for coming back or never leaving. So here goes my list. Wait, wait, wait: Don’t assume my list is complete, definitive, or unchangeable. I am just remembering some of my favorite biographies. 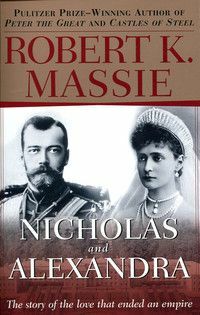 Nicholas and Alexandra by Robert Massie. I first read this book in the Readers’ Digest Condensed Book series. Later, I read the complete version. This book gave me a love for Russian history (which I have only been able to pursue lightly in spite of traveling there once) and it enhanced by my love for history and biography. Massie is a great narrator of the lives of this beautiful, flawed, Christian, and tragic couple and family. In later years, Massie did a follow-up work that discussed what has been discovered and uncovered regarding the fate of the Romanovs. Also, the movie version of Nicholas and Alexandra is well done. Their story is essential background to World War I and the Russian Revolution. Nicholas and Alexandra has remained in print through the years and is available in many versions. I have seen many copies in used book venues. Apart from God’s gracious moving of my mind, I have no idea why I first read this book. I did not know about either the author or the subject. The picture on the cover was no draw either. I suppose I read in a review about Cleanth Brooks being affiliated with Southern literature, so I bought the book. This work was life and mind expanding. Brooks was one of the most important and influential literature teachers in the South and remains a key interpreter and commentator on William Faulkner and the Southen Agrarians. I suspect that reading this book caused me to buy and read about a hundred other books after my first reading. 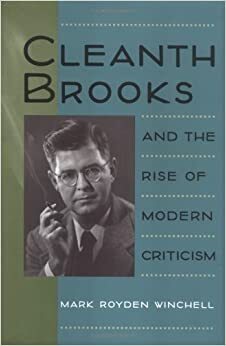 I wanted and am still collecting all of Cleanth Brooks’ books on literature. I began reading the works of his author/friends/colleagues and Southern literature, the Agrarian Movement, the New Criticism, the works by and literary criticisms of William Faulkner, and works of poetry have all become consuming passions. I wish I had met Dr. Brooks and studied under him in my earlier days. The author–Mark Boyden Winchell–also wrote a fine biography of Agrarian poet and literature teacher Donald Davidson. Dr. Winchell and I corresponded briefly some years back, and I regret his early death and our never getting to meet. 3. The two volumes on Martyn Lloyd-Jones by Iain Murray. The first volume is called D. Martyn Lloyd-Jones: The First Forty Years and the second is D. Martyn-Lloyd Jones: The Fight of Faith. This two volume set was published by Banner of Truth and remains in print. There is a condensed one volume version and a book about further thoughts on Lloyd-Jones by Iain Murray that are also Banner titles. I read the first volume soon after it came out and thought it was a fine book. It was most likely in 1990 that I read the second volume. There was a particular day in the fall when I stayed home from school with a sinus infection. That day is still remembered as one of the best in my life. I must have been well into the book, and what I read in particular I don’t remember, but it totally changed my life and directed me to pursuing ministry works that included, but was not limited to, serving as an elder/pastor and teacher in the churches I was part of in the following years. Of course, reading about Lloyd-Jones and deciding to preach is like watching Michael Phelps and deciding to take swimming lessons. I continue to collect works by Martyn Lloyd-Jones and to read him and things about him. The same can be said of Iain Murray, his biographer. I want to own and read all of Iain Murray’s writings. I have read quite a few things and really liked his biography of Jonathan Edwards. I also look forward to soon reading his new biography of J. C. Ryle. 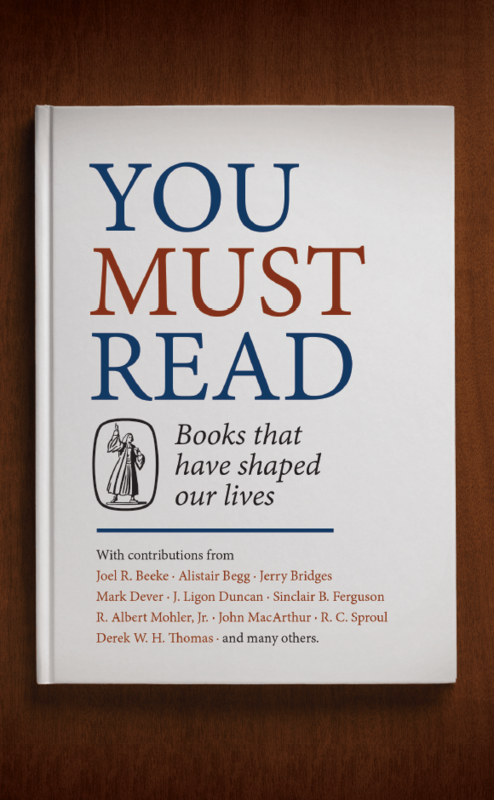 Also, Banner published a wonderful book this past year called You Must Read: Books That Have Shaped Our Lives and it contains selections by a number of Christian leaders whose lives and ministries have been impacted by the books by Iain Murray. Unlike the case with Cleanth Brooks, I was already a great admirer of Christopher Dawson when I read this book. Also, I had previously read Birzer’s fine biography of J. R. R. Tolkien. This book was an outstanding study. On the one hand, books about men who lead sedentary lives of study are a real challenge. The man who spends his days sitting at a desk or in an easy chair perusing books might have great thoughts, but it rarely leads to exciting retellings. Not only was Dawson a bookish scholar, but he was somewhat sickly and reclusive. Although he was a contemporary and acquaintance with C. S. Lewis and Tolkien, he was not close to either of them, nor a comrade at the gatherings of the Inklings. For much of his life, he was writing essays that would be compiled into books while sitting on the sidelines of the academic and literary communities. Is it any wonder then that I would like Dawson so much? 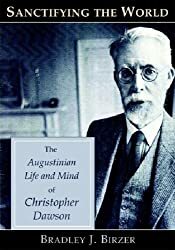 On a further note, the biography that Christopher Dawson’s daughter did, titled The Historian and His World: The Life of Christopher Dawson, is also a fine work. A further side note: Realizing that Bradley Birzer, who I have spoken to via emails in the past, has a new book out about Russell Kirk is an emergency call for me to start gathering funds to get that book. Whatever one thinks of Lyndon Johnson, this biographical series is compelling. In part, it is outstanding because of Caro’s narrative style. In greater part, it is outstanding because, like biographies in their very nature, this series unfolds the key events of 20th century American, particularly Southern history. All of the volumes are good, readable, and engaging. My favorite volume and the one that has forever impacted and changed the way I look at politics is volume 3: Master of the Senate. In the link to what biographies Christian historians like, George Marsden also highlighted this volume and says, “Wonderful example of the art of great story telling.” Marsden, by the way, has written some outstanding books, including a great biography of Jonathan Edwards. 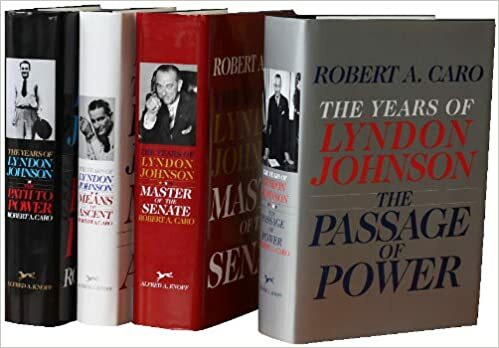 I have repeatedly said that many conservatives who want to get involved in politics need to read Master of the Senate. Johnson’s craft, restraint, and work to pass a Civil Rights Bill was political genius. And like it or not, he was laboring on the side of right and justice in opposition to many of his southern colleagues. We all await the publication of Volume 5 which will pick up with the disastrous years of Johnson’s Presidency during the failed War on Poverty and Vietnam War. Don’t think that this paltry listing of biographies completes the story. Maybe I add some more later. As always, I would love to hear from any of you about your favorite biographies. 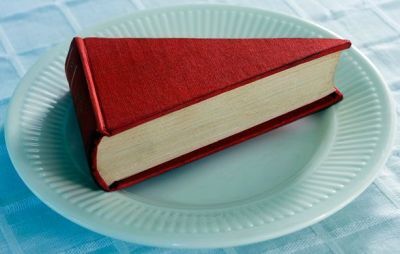 I am always hungry for more books.